Hiranandani The Walk in Hiranandani Estate, Mumbai Thane by Hiranandani Builders is a residential project. 1st High Street Residential Destination in India. 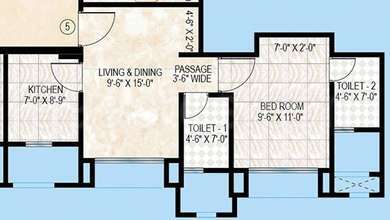 The size of the Apartment ranges in between 355.21 sq.ft.  and 419.0 sq.ft. Hiranandani The Walk price ranges from 88.12 Lacs to 1.02 Cr. Hiranandani The Walk offers facilities such as Lift and Gymnasium. This is a RERA registered project with registration number P51700000427. Bank loan approved from HDFC home loans, ICICI, State Bank of India, LIC Housing Finance Ltd. and Indiabulls. The project is spread over a total area of 0.07 acres of land. 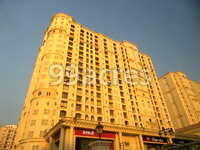 Hiranandani The Walk has a total of 1 towers. The construction is of 19 floors. An accommodation of 66 units has been provided. Hiranandani The Walk brochure is also available for easy reference. In which area is Hiranandani The Walk located?The project is situated in Hiranandani Estate, Mumbai Thane. What is available flat size in Hiranandani The Walk? Flat sizes in the project range from 359.0 sqft to 419.0 sqft. What is total size of Hiranandani The Walk?The project is built over an area of 0.07 Acres. What is the price of 1 bhk in Hiranandani The Walk? The price of 1BHK units in the project ranges from Rs. 8812309.12 to Rs. 10270528. What are prices of apartments in Hiranandani The Walk? Prices of apartments in the project range from Rs. 8812309.12 to Rs. 10270528. Hiranandani Builders is a result of hard work and dedication of the two Hiranandani brothers, Mr. Niranjan L. Hiranandani and Mr. Surendra L. Hiranandani. They forayed into the real estate development industry fifteen years ago and are known worldwide today. Hiranandani Developers is a pioneer in mix use and township development at Powai in Mumbai. They are also developing nation?s first flyover mall in Mumbai, the Western Mall. nce aims at providing highest lifestyle standards to the customers. Their focus on distinguished quality and state-of-art technology helps create better communities. Hiranandani Developers is also operational in entertainment, healthcare, hospitality, retail and call centers industry.